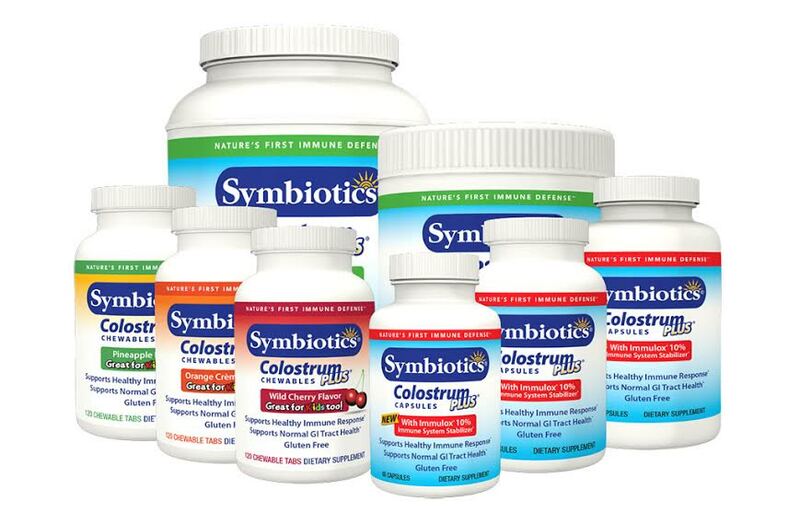 How is Symbiotics Colostrum Plus Available? Power: Ideal for people that have trouble swallowing pills. Capsules: Ideal for on-the-go lifestyle. 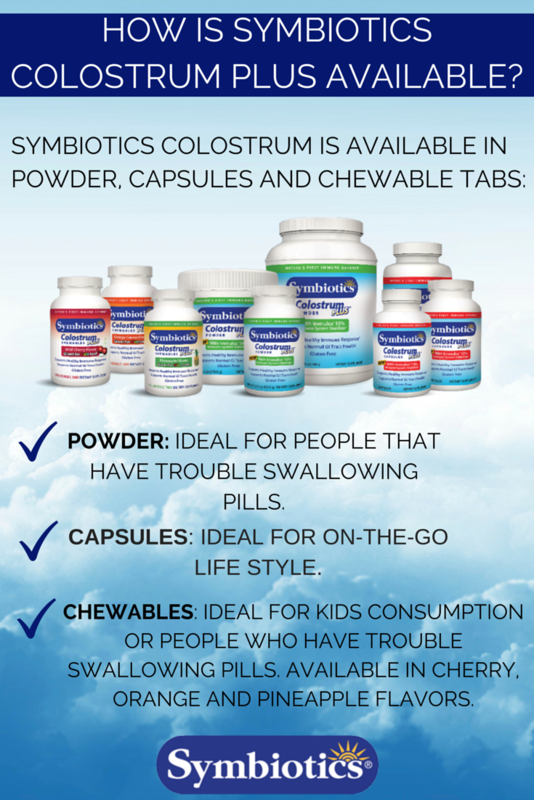 Chewables: Ideal for kids consumption or people who have trouble swallowing pills. Available in cherry, orange and pineapple flavors.